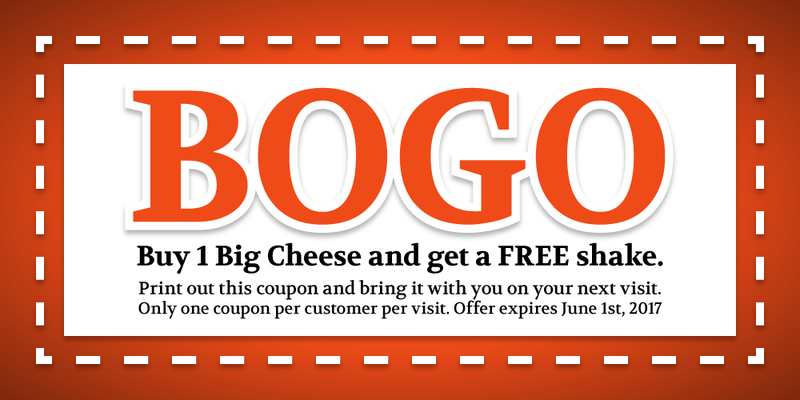 Print out this coupon and bring it with you the next time you and you friends come in. Make sure to print a coupon for everyone. Also be sure to visit on December 31st, we will be giving out all you can eat fries from 12-8PM for all parties of 3 or more.